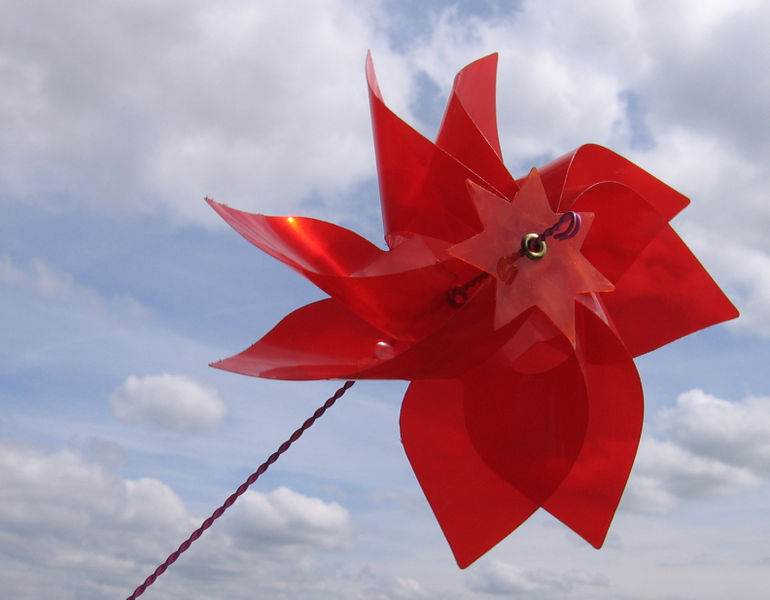 If you've ever seen a wind mill, a wind turbine, or even a pinwheel, you've seen wind energy in action. Wind energy takes a percentage of the energy in the blowing wind that moves through the air everyday. This energy is captured by turbine blades much in the same way a sail on a boat captures the wind and turns it into work. Wind energy works very similarly to other energy sources, but uses the movement of the wind that is blowing as opposed to steam or water to create electricity. A great animation of the steps from blowing wind to electricity can be found at this website. Of all renewable energy technologies, wind shows the most potential right now. It is cheaper, cleaner, and easier to produce than the other technologies. It also has a large potential usage. For example, Spain currently gets 43% of its energy from wind sources. Despite this potential, wind has faced some resistance. This is primarily due to certain misconceptions about how it would work and because of limitations in supporting infrastructure (such as a Smart Grid and Large Scale Energy Storage). This section will discuss the potential for wind energy, why its so important for our future, and how we can work to implement more of it.